Dream Dealers Blood in the Badlands | The greatest WordPress.com site in all the land! I’ll be participating in the blood in the badlands campaign at DreamDealers with my Demon force. I’ve been building and collecting this army since the summer when we initially planned to run the campaign and have finally amassed enough units to be able to run some interesting and novel lists. We’re starting at 1000 pts which presents some issues for demons. Firstly, our either 250 pts exactly (in their pants so to speak) or significantly north of that figure which rules out higher level magic and restricts me us to heralds who aren’t amazingly good in close combat when compared with fully equipped and kitted out heroes with the options that they have available to choose from. This, however is where the list of our weaknesses end. All of the Demon troops are a solid choice for your core and will easily provide either solid resistance, rapid movement, ranged support or combat power. This combined with loci on heralds can result in some rather impressive resillience or damage from what (for most armies) are grunt troops. This combined with the ward save and the lack of physical armour makes Demons a less attractive targets to the more common approaches to dealing with heavy infantry. There has been an agreement amongst the players at the club that we will try and keep our lists themed and to develop a story arc to with our chosen champions and avatars. I thought about my Demon forces and decided that I would attempt to model and select three forces themed around the competition within the Realm of Chaos between the patrons of Chaos themselves. This would allow me to field three different forces celebrating the different strengths and weaknesses of the various Chaos Powers. As we move through the campaign I shall introduce the lists and touch upon where I see them being strong, where their weaknesses are and finally give feedback on their performance. 2014 restart for the blood in the badlands in Coventry! So, after a bit of a false start earlier this year, it seems that we are getting this back up and running again! The players have met up, and as I speak are feverishly writing lists for the first season. Winter campaign season looks like it is going to run through January, and probably into February. The first few lists are being posted on the forums here and are looking worryingly strong! 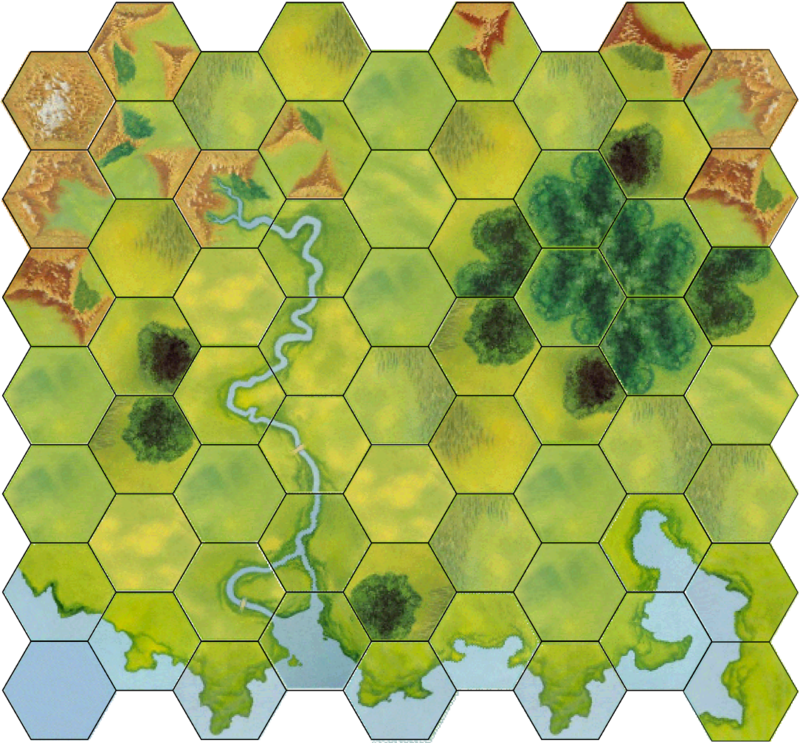 The high and wood elf lists will follow shortly, I’ve just been busy sorting out the campaign map! Blood In the Badlands: State of Play 1! Blood In the Badlands: State of Play 1!. 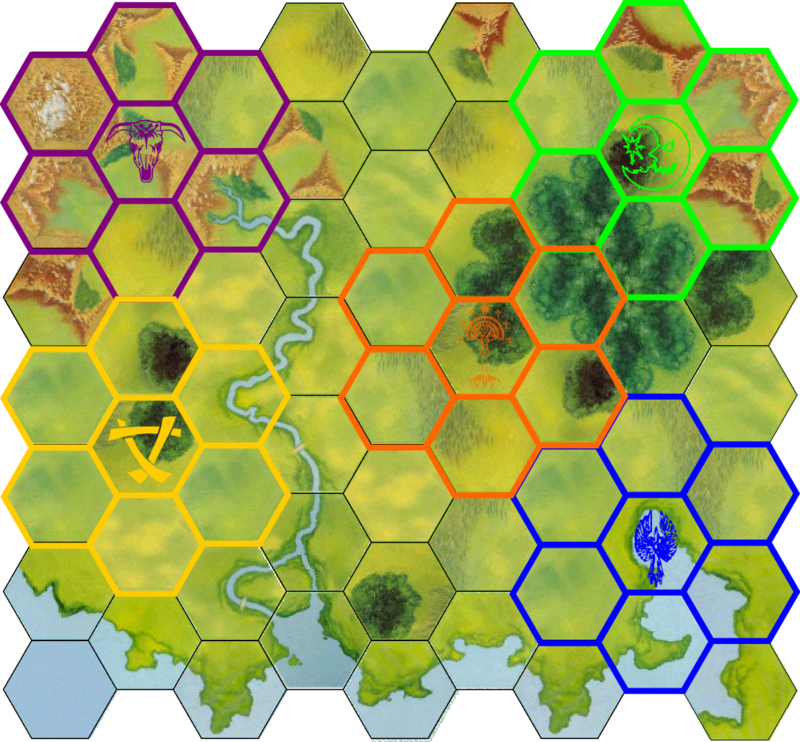 This Saturday, each of the players in the Blood in the Badlands Campaign running in coventry are meeting up to initiate the campaign, place tokens on the map and declare their opening moves. There is space for one more player, who I believe will be playing Dark Elves, but I have not spoken to him in a little while. I am playing my High lves (in blue) and am really looking forwards to this getting Started! via Blood In the Badlands: State of Play 1!. As you may know in 3 weeks time my ocal club is starting a badlands campaign, its designed to be a fun way to play some smaller points games and teach some newbies the ways of fantasy battle. Originally i was playing night goblins, but since another player decided he wanted to play them i thought it would be a good way to start with the Welfs. Because its a friendly style of event i don’t feel compelled to turn up with a hard list and Min / Max everything i can Bellow are the vague themes ive come up with and will losely stick to through out the event now. Hey all! this is the 1st draft of the Map for the Blood in the Badlands Coventry Campaign. If anyone wants it to be larger, or if you have specific starting locations in mind, please let me know! First session starts on the 27th of July so hopefully before then we will have posts from each player with the army lists bit of background about themselves and out campaign map!